Microsoft Belgium just started a new campaign about System Center 2012. The first 3 prices are a ticket for the TechDays 2013. I hope to see you at the Belgium TechDays 2013! I would like to share with you my notes from the field concerning the basic installation of SCCM 2012 SP1. This post is a compilation from the excellent site http://www.windows-noob.com, Microsoft TechNet and my personal notes. I will not detail the complete installation of SQL server, but just give the basic features that we need to install. During the SQL server installation process, select the following module. The SQL server services must run under a service account. Concerning the reporting, select Install and configure. Now, SQL will only set and use the port TCP 1433 to the first Default Instance. The Instances installed afterwards get a dynamic choosen port set. 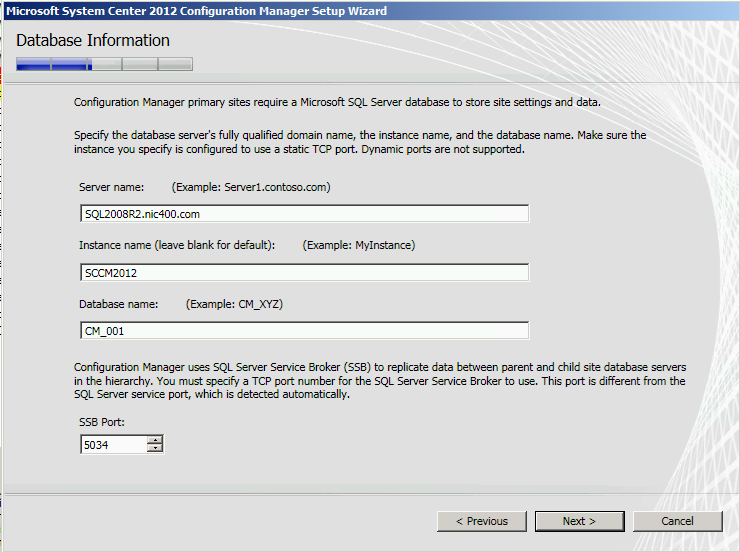 Configmgr 2012 does not support dynamic port for SQL. When SQL Service is restarted and firewall ports a opened we can Go Ahead with the Configmgr Setup. The SSB Port is also something to think of, depending on Your configuration. and the DC= that appears below it. Click on the + and scroll down to CN=System. child objects are selected then place a check mark in FULL CONTROL, and click next then Finish. status warning you of same. Note: Repeat the above for Each site server that you install in a Hierarchy. Note:-The Active Directory schema extensions for Configuration Manager 2012 are unchanged from those used by Configuration Manager 2007. If you extended the schema for Configuration Manager 2007, you do not need to extend the schema again for Configuration Manager 2012. \SMSSetup\Bin\x64\Extadsch.exe, right click and choose Run As Administrator. You can either download them as part of the Site installation experience, or download them using a utility that comes on the ConfigMgr installation media called SETUPDL.EXE. Using this tool you can perform the download before installation takes place on a server or workstation that has Port 80 access to the Internet. Just open a CMD prompt, create yourself a destination directory (spaces are supported in RTM), navigate to the SC12CM’s media SMSSETUP\BIN\X64 directory and point SETUPDL.EXE at the newly created folder. destination Specifies the directory for downloaded files. The only limitation is that the tool is 64- bit (X64) and thus cannot run on an 32-bit (X86) OS. You could log all this by redirecting the output of SETUPDL.EXE using the > console output redirector. Key things to make sure you have are an X64 OS and easy Port 80 internet access. Keep in mind that if you are in a Web proxy-based environment with proxy authentication enabled, you may have issues getting through. Ensure to add the Server1 in the local administrator group of the Server2. During the installation process, select the following options. Select Install a Configuration Manager Primary Site. As We will install the Distribution Point role on a second server, uncheck the box Use Typical installation options for a standalone primary site. As we already downloaded the needed files, choose Use previously download files. Select the language(s) for the SCCM server. Select the language(s) for the SCCM client. Enter a site code, it’s up to find a logic in that name. Select Install the primary site as a stand-alone site. Specify the db instance information. 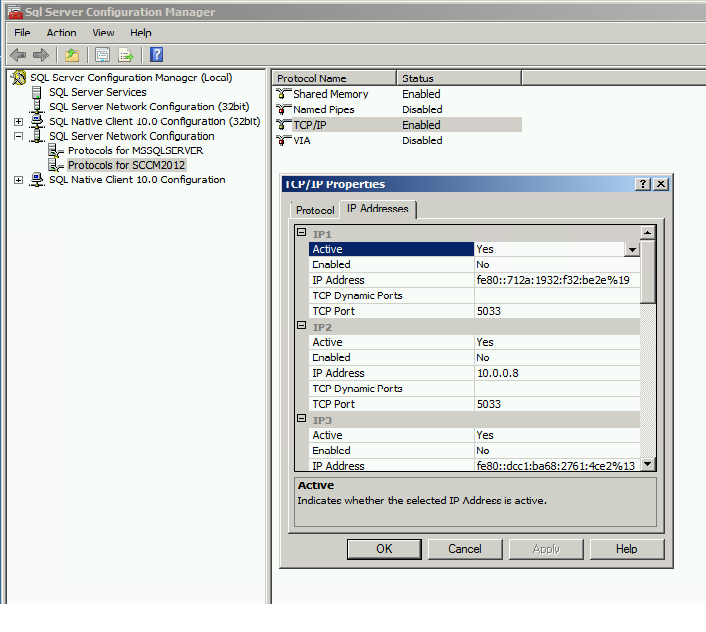 Select Configure the communication method on each site system role. Install the management point role on the first server. Install the distribution point on the second server. This could be of course change later. Choose I don’t want to join the program at this time. On the server on which you want to install the Software update point, create a Source folder and Share it to everyone for read-only access. Select Windows Server Update Services. Specify the folder when the sources will be stored. When the installation is complete, go to Windows Server Update Services. Click on Cancel, SCCM Will configure it. Specify you proxy information if needed and click on Next. Select WSUS is configured to use ports 8530. Select Synchronize from Microsoft Update. Select the classifications that you want to synchronize. Select the product that you want synchronize.